Just when it seemed that Liberal Protestantism was dying a slow death, a new movement emerges from the embers, something called “Progressive Christianity.” In many ways, it is a youthful repackaging of an older theological liberalism, but it draws from other sources as well. Not the least of these is a movement within Evangelicalism called “Emergent Christianity,” that borrows from liberalism but also shows a new interest in liturgical practices and the teachings of the ancient Church Fathers, traditionally ignored or regarded with suspicion by Evangelicals. One of the most energetic voices of the new “Progressive Christianity” is a Methodist pastor from Colorado named, Roger Wolsey. His book, Kissing Fish: Christianity for People Who Don’t Like Christianity, is a manifesto of this way of thinking. It is similar to Brian McLaren’s “Emergent” manifesto, Generous Orthodoxy, except that Wolsey’s brash and vibrant Gen-X style outpaces McLaren’s genial and laid-back Baby Boomer outlook. Both books are theologically informed and highly eclectic. Both confidently assert what they take to be the “signs of the times” and reject what they view as the distortions and excesses of Fundamentalism. One way in which the Progressive Christianity of Wolsey and others styles itself is by its emphasis on the “religion of Jesus,” rather than the “religion about Jesus.” This distinction trades on the assumption that Christianity as we have received it has obscured the message of Jesus himself. While the religion of Jesus is understood as a radical message of liberation, the religion about Jesus is a culturally regressive creed that presents Jesus as an exclusive savior and discredits other religions. The religion of Jesus is not about Jesus himself; it is a transformative way of life that Jesus models in his teaching, healing and interactions with others. By contrast the religion about Jesus is about dogma – a collection of rigid doctrines requiring the unquestioning assent of Christian believers. Such unwieldy notions as the Trinity, the two natures of Christ (divine and human), his atoning death and his bodily resurrection, are taken to be intrinsically divisive; whereas an invitational way of life based on service and an open, nonjudgmental spirituality can only unite and attract. As fresh and vibrant as Wolsey and other new Christian progressives are in their style of presentation, the distinction between the religion of Jesus and a religion about Jesus has been the trademark of theological liberalism since the Enlightenment of the 18th century. This contrast has invariably taken the form of a sharp disparity between Jesus of Nazareth and the Apostle Paul. If the liberating religion of Jesus has been obscured and distorted into a religion about Jesus, then who is the principle culprit? Invariably the accusing finger points to Paul. 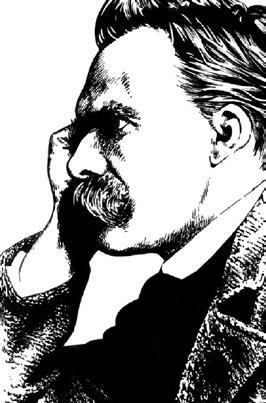 One of Paul’s fiercest detractors was the philosopher, Frederick Nietzsche. The son of a Lutheran pastor, and pious in his adolescence, Nietzsche admired Jesus. Jesus boldly “denied any chasm between God and man, he lived this unity of God and man as his ‘glad tidings.’” By contrast, it was Paul, “a very tortured, very pitiful, very unpleasant man,” who was the “first Christian” and “inventor of Christianity,” accomplished by interjecting, according Nietzsche, the problem of guilt and sin. "On the heels of the 'glad tidings' came the very worst: those of Paul. In Paul was embodied the opposite type to that of the 'bringer of glad tidings': the genius in hatred, in the vision of hatred, in the inexorable logic of hatred. How much this dysangelist sacrificed to hatred! Above all, the Redeemer: he nailed him to his own cross. The life, the example, the doctrine, the death, the meaning and the right of the entire evangel - nothing remained once this hate-inspired counterfeiter realized what alone he could use." 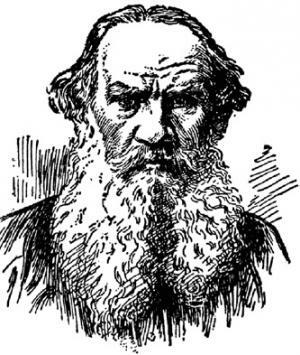 Tolstoy objected to Paul’s elevation of Jesus to the status of divinity. “To consider [Christ] a God and pray to [Him], I esteem greatest blasphemy…” The second Pauline “fabrication” was the doctrine of the resurrection. “There is fabrication in...Paul. There isn’t with Christ… He would not have been turned into a religion had it not been for the fabrication of the resurrection, and the chief fabricator was Paul. Jefferson, Nietzsche and Tolstoy all insisted that while Jesus himself was an exemplary figure, his teaching was distorted by Paul, who created his own religion about Jesus. They are agreed that Paul’s religion about Jesus included three key assertions: the divinity of Christ, atonement for sin, and the bodily resurrection – all which were alien to the teaching of Jesus himself. In calling for a return to the religion of Jesus in place of a religion about Jesus, the current Progressive Christians have simply repackaged a theological perspective that has been in circulation a long time. Did Paul (and others perhaps) distort the message of Jesus? Did Paul replace Jesus’ liberating ethical teaching with his own doctrine about Jesus? Is there really such a disparity between the message of Jesus and of the witness of Paul? Must we really choose between one or the other? The twin concepts of Law and Gospel are crucial to interpreting the Bible. It is not just that the Old Testament contains laws, while the New Testament centers around biographical narratives entitled “gospels.” Law is anything that relates to what human beings do in obedience to God’s command. Gospel is “good news” about what God has done for us in accomplishing our redemption. Hence, the distinction between Law and Gospel has to do with “agency” – that is, with who does what. Law is what we do (or fail to do). Gospel is what God has done. In grade school, we learned about the imperative mood and the indicative mood. We use the imperative mood to give a command. The indicative mood is a statement of fact. Law is imperative. Gospel, as the account of our redemption, is an indicative. It is a fact – accomplished by God in Christ. Those who privilege the religion of Jesus over a religion about Jesus tend to focus on the imperative. Their interest is on how we are to live in order to be more compassionate, more just, more bold in speaking truth to power, etc. The portrait of Jesus in the Gospels thus becomes a model for human action, and Christianity a radical way of life that offers an alternative to a culture plagued by selfishness and injustice. By contrast, Christian Progressives tend to sideline Paul’s indicative presentation of the Gospel about a divine savior who atones for sin. Progressives are generally suspicious of a preoccupation with personal salvation as overly individualistic. Many seem to regard the traditional emphasis on salvation as a distraction from the “gospel imperative” of social justice, which moves in the direction of exclusionary lines of separation, and the assertion of rigid dogmas. The fact is; Law and Gospel weave in and out of the entire Bible. There is Gospel in the Old Testament and Law in the New Testament – and vice versa. There is a clear indicative message about salvation in the teaching of Jesus, and letters of Paul are chock full of ethical imperatives that echo the teaching of Jesus. Paul brings clarity to this distinction. For Paul, imperatives flow from indicatives. 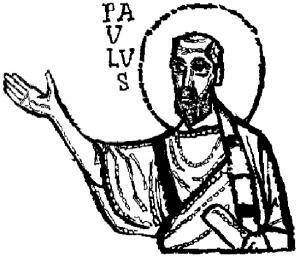 In Paul’s letters, the saving work that Christ accomplishes on our behalf gives rise to a faithful human response characterized by a new pattern of life, and connected to what precedes it by the word “therefore.” In Romans 12:1, Paul makes the transition from the indicative to the imperative, “I appeal to you, therefore, brothers, by the mercies of God, to present your bodies as a living sacrifice...” In Galatians 5:1, Paul marks the same transition with a simple summary statement, “For freedom Christ has set us free” and then turns to the imperative consequence, “stand firm, therefore, and do not submit again to a yoke of slavery.” All that follows in both letters is an extensive pattern of Christian ethics centered on the love of neighbor. For the entire New Testament (not just the Epistles of Paul, but the Gospels as well) Christianity as a way of life is inseparably intertwined with Christianity as the proclamation of God’s saving work in the death and resurrection of Jesus. It is not possible to “separate the gold from the dross,” because one follows from theother. The commitment to implement the liberatingsocial teaching of Jesus (a fair description of his message) is a response to God’s saving work in Jesus on the cross – apart from which an unredeemed and impenitent humanity lacks the motivation (and more importantly) the capacity to put this teaching into practice.